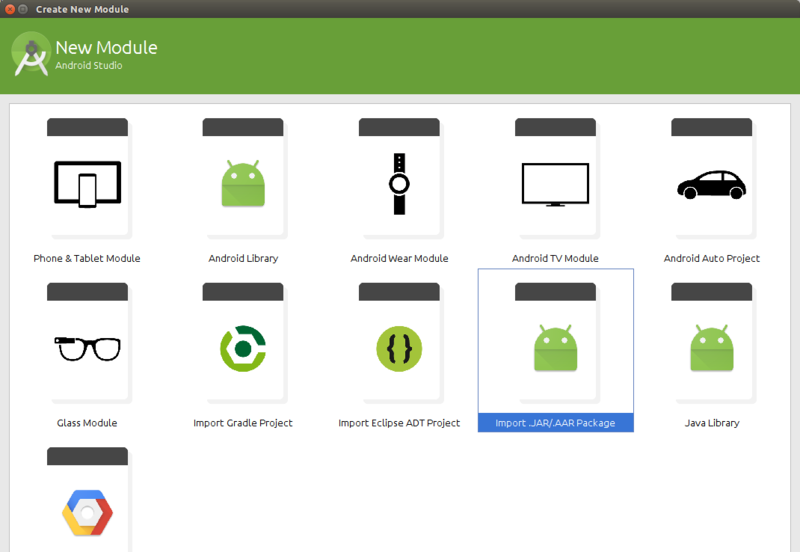 I’m trying to use the new Android Studio but i can’t seem to get it working correctly. I’m using the Gson-library to serialize/deserialize JSON-objects. But the library somehow isn’t included in the build. I created a new project with just a MainActivity. Copied gson-2.2.3.jar in the /libs folder and added it as a library (right click->Add as library). 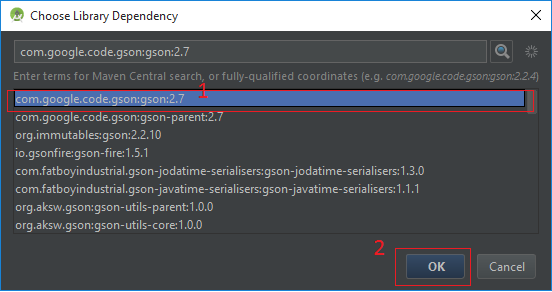 This includes the jar in android studio so it can be referenced from the source files. After I did the above four, it started working fine. I think the ‘Add as library’ step was the one I’d previously missed, and it didn’t work until I cleaned it either. You can also see this post. IIRC, simply using “Add as library” isn’t enough for it to compile with the project. 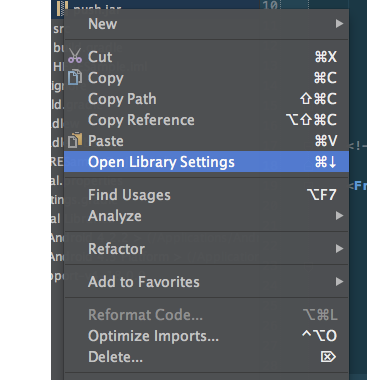 If the library doesn’t show up in the dialog, add it in the Libraries settings, right below Modules. You shouldn’t need to add compile files() anymore, and the library should be properly added to your project. Do not forget to click “Sync now” in the top right corner. 3. 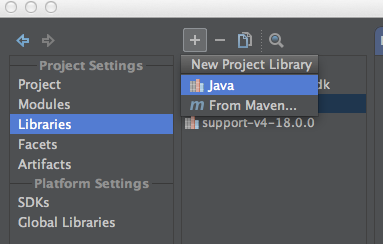 Now Click on the “Sync Project with Gradle files”(Left to AVD manager Button on the topbar). 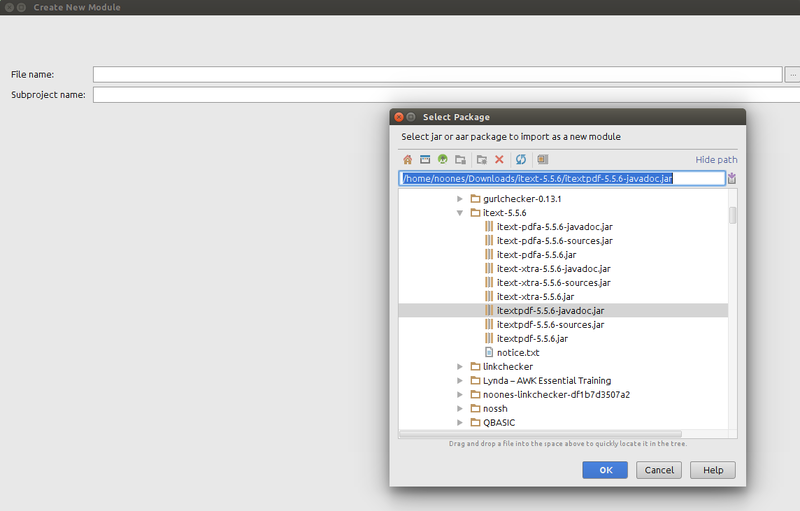 Unlike Eclipse we don’t need to download jar and put it in /libs folder. Gradle handles these things we only need to add Gradle dependencies, Gradle downloads it and puts in gradle cache. 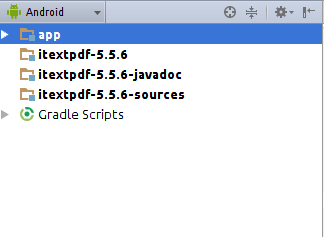 However we can also download jar & add that as library but the best practice is to add Gradle dependencies. 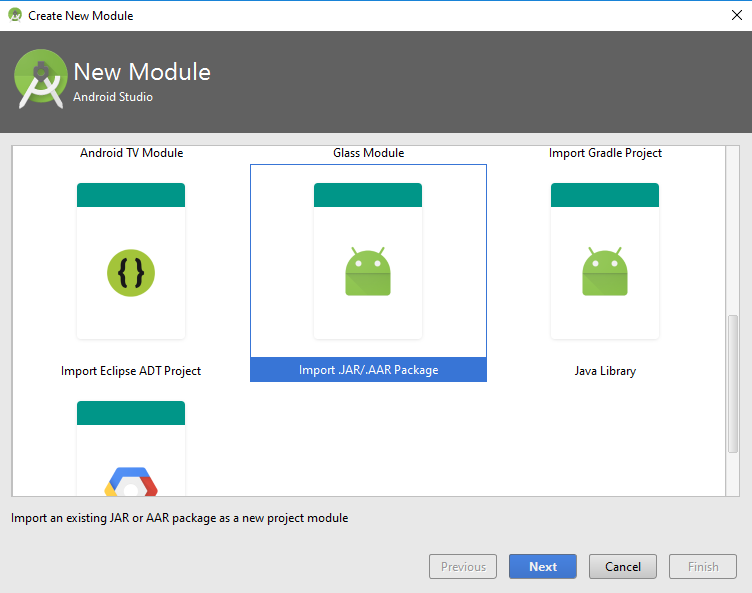 then right click on the .jar file and click add as a library then choose a module then ok.
You can see the .jar file in build.gradle file within dependencies block. Then CTRL+ALT+SHIFT+S –> project sturure –>choose the module you want ato add a jar –>Dependencendies –> Module Dependency. 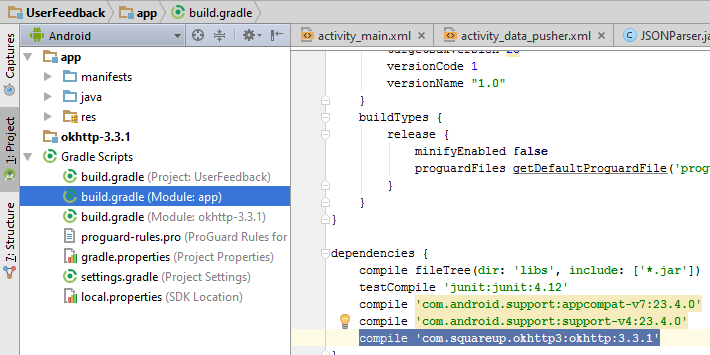 build.gradle of the module will updated automatically. 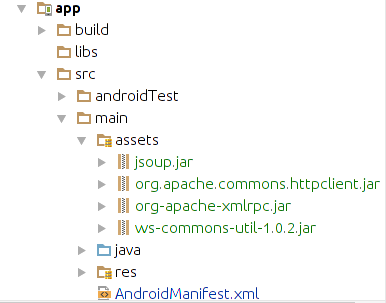 Just put the .jar files in libs folder of the Android project. this line of code in the apps graddle file will do the rest. 1) create an ‘your_libs’ folder inside the Project/app/src folder. 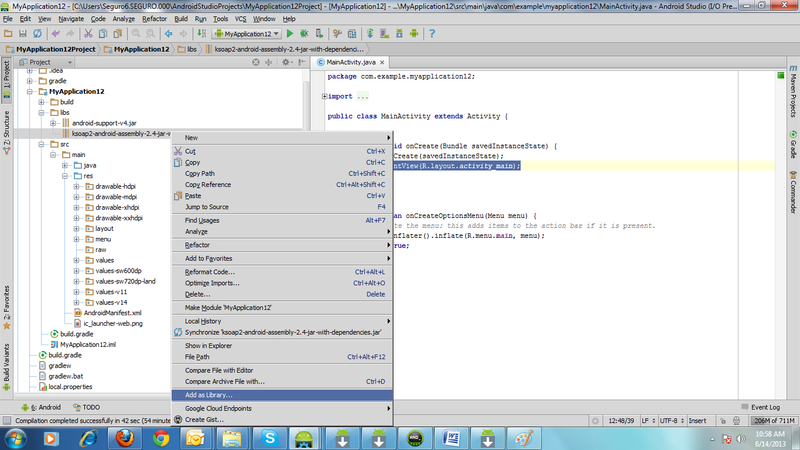 In android Studio 1.1.0 . 2: Open module settings , go to Dependencies ,at left-bottom corner there is a plus button. Click plus button then choose “File Dependency” .Here you can see you jar file. Select it and it’s resolved. Create a folder libs. Add your .jar file. Right click on it and you will find add jar as dependency. Click on it. Its all you need to do. 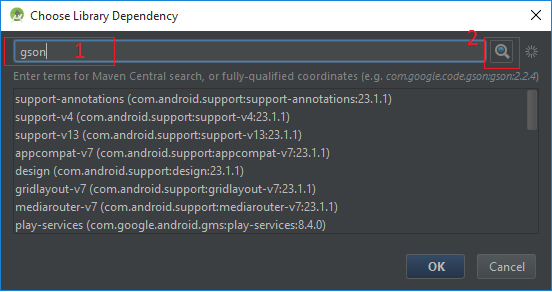 You can find the dependencies added to your build.gradle file. Step 1 : Now under your app folder you should see libs, if you don’t see it, then create it . This will allow support for two different ways of adding dependencies. The compile fileTree(dir: 'libs', include: ['*.jar']) (as @Binod mentioned) tells the compiler to look under the folder libs for ANY jar. It is a good practice to create such a folder ‘libs’ which will contain the jar packages that our application needs to use. 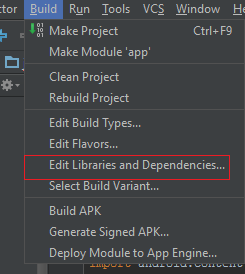 However I have a project in Android Studio that was migrated from Eclipse and in this case the “libs” folder is named “lib” so for me removing the “s” solved the problem. Added the “libs” folder at the level of “app”. Added all the “jars” in this project. I observed “CTRL+ALT+SHIFT+S –> project structure –> app-module –>Dependencies” already had an entry as “(dir: ‘libs’, include: ‘*.jar’)” under “compile-option”, initially. And after adding the jar’s as per the steps stated above, the “build.gradle” got the entries for the new added jar’s, itself. Now your JAR files ready to use. 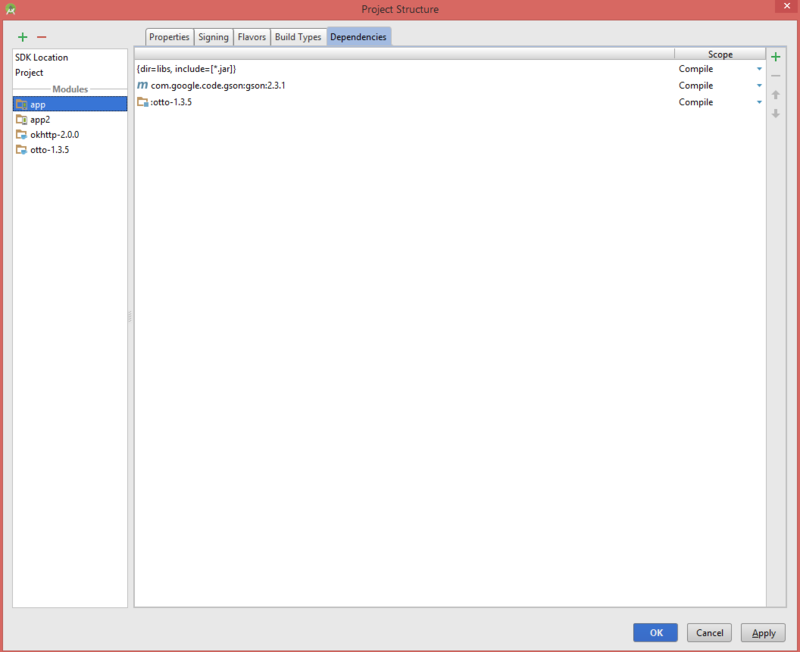 Press OK on “Project Structure” dialog. Gradle would update your build scripts accordingly. 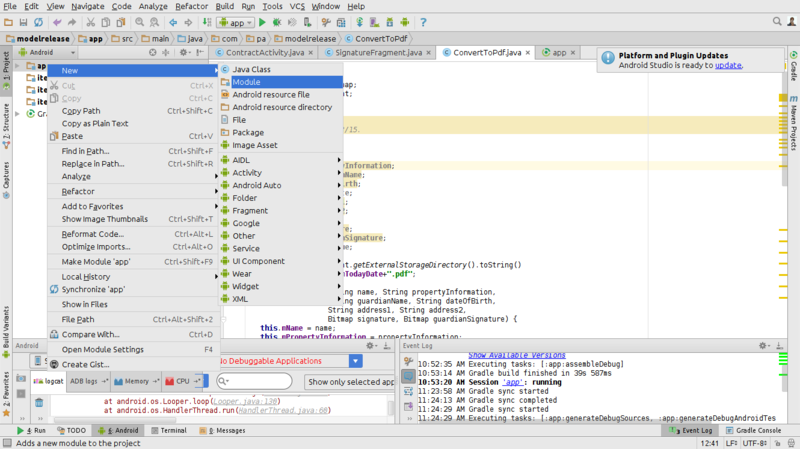 I don’ know why but my Android Studio 0.8.14 goes crazy when I try to implement these solutions using Gradle. I admit my poor knowledge of this great build tool but what does Studio mutilate my project for? I manage to get it working this way: put android-support-v13.jar into ‘libs’ directory, then F4 on my project and add File dependency where I pointed android-support-v13.jar.